Often, 36 months is the 'sweet spot' for leases .. the residual works out better for the longer term. Can you please confirm 4cyl base tlx numbers? so from last month the mf improved from .00077 to .00070? the residual went from59 to 60 ? and cash increased by $500? Local dealer has a handful of 2015 TLXs and wondering if the discounted sales price will offset the lower residual? What is the residual and MF for base V6 and tech V6 and advanced V6? 36 & 24 mo/10k miles? so the residual is worse by 1% this month than last month on the 4cylinder? I believe it was 61% but it seems that there is $1000 more in cash available? No MF info on 2015 TLX's, which means it's probably the standard rate of .00165. If you say so .. we don't keep track of historical trends. I did see any other thread for TLX so asking my question here. Asked the dealer for TLX OTD price while shopping for RDX . They quoted 2016 base TLX OTD for $30,675. Is this a good price? 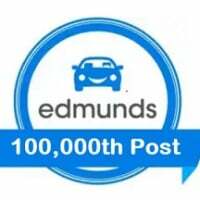 We don't track pricing, but Edmunds does. Use the Make/Model/Year pulldowns at the top of the page to access TMV pricing from Edmunds. After this Tesla model 3 announcement I may reconsider my timeline. What are the 24 month residuals on. .00070 MF and 57% residual for 36/12. $2000 lease cash + $500 loyalty cash. Not sure what that will come to... Give us an MSRP and selling price and we can calculate a payment. @Michaell how much do those numbers change for the 2015 tech/advance and AWD tech? Once again I want to thank this forum for the info. This most recent deal was the most arduous I've ever done with sales people lying and withholding info which resulted in me driving to San Diego from LA to get my TLX. Not sure why they opted to eat what I had expected to be a $37000 sales price while holding on to the extra $1000 in lease cash mentioned in the forum. Acura doesn't do many 24 month leases (finance manager originally had it written up as 36 mo @$400. Finance mgr mentioned that the Gen Mngr has a lot of pull when it comes to structuring lease. Opted for 24 month lease in hopes Elon has my Type Three ready in two years. .00070 MF and 60%/58% residual. $1000/$2000 lease cash for Base/Tech. Hello, I am a current owner of 2005 TSX. I am considering leasing a 2016 TLX. Another question, I'm assuming the money factors quoted throughout this forum is the super elite tier, correct? How does the MF change at lower tiers. My equifax credit score is 695 and TU is 683. I don't exactly qualify for the super elite rate. Base - 59%. $1000 lease cash. Tech - 57%. $2000 lease cash. $500 loyalty or conquest cash. .00070 for top tier credit. No information on MF uplifts if not top-tier. Thanks. Does anyone know what is the minimum score to qualify? Also, anyone know which dealers in NJ pull Equifax only? Looks like 710 for super preferred. No idea what credit agencies individual dealerships use. Whats the current lease rates for April on TLX AWD Advance? Any applicable rebates? $2000 lease cash and either $500 loyalty or conquest incentive. Hello, First of all thank you for the information you provide us. It is beyond helpful. This is my first time leasing. Can you please tell me at least roughly what I can expect with the following variables? .00070 MF and 55% residual. $2000 lease cash + $500 loyalty/conquest cash. Assuming your discount already includes the lease cash.. If the $2000 lease cash is in addition to the discount, then $479/mo.